I have been slowly working on creating a space themed bedroom for Syd. My inspiration came from his Early Learning Center rocket – a toy which all three of my children have owned and loved – not only is it a lot of fun, but I love it’s striking vintage space look. The room is a blank canvas with white walls, and as we rent I am not about to re-decorate, but it is easy to add details to the wall with wall stickers – which have the advantage of being cheap and easily removable if your child wants an update in a few years, or if you move home. I loved this set that I bought from Amazon and they add great interest above the bed. I purchased this cardboard Space Rocket playhouse online for under £20 and it both looks good and Syd enjoys playing in it – I can also use it to shove all his soft toys inside when I am having a quick tidy up! The star shaped light in the top image was another online purchase, and was only £7. I also bought these stacking robot storage boxes online from Wilko – they are perfect for holding lots of toys and I love how bold and colourful he is! The room isn’t finished yet. Currently the windows have patchwork curtains left by the previous tenant, but I have just spotted these blinds from VELUX – they have a whole range featuring scenes from Star Wars, but as Syd is a massive R2D2 fan these would be perfect for him, and as a plus they are available as a blackout blind, which as all parents know is vital in summer months! I would also love to add some space themed art and a rug – I have been collecting ideas on a pinterest board (see below) and will carry on adding pieces over the next few months until I am happy with the result. Follow Sonya Cisco’s board Space on Pinterest. So far I am happy with how the room is coming together, I will do an update when it is finished, and who knows, he might even start sleeping in it eventually – but that’s another story!! Baby Isabella recently posted…Are you ready for Storm Elsa? Awww my son would have so much fun with that cardboard space rocket. All looks fab so far and what a lovely theme for a bedroom. I love it, what a very lucky boy! Space is big in all areas this year I think! 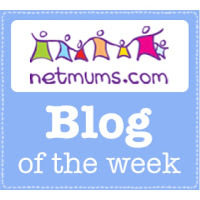 Mrs M recently posted…Is basic parenting really that hard?